RORE reveal new Summer Enduro series for Dorset! 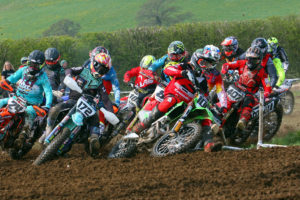 The good folk at the Rogershill Off Road Events (RORE), based in Dorset, are going back to the days of yore as they have announced a 4 round summer Enduro series is set to be staged this year. In the past their Summer events were fantastic social occasions, on top of the racing and the excellent tracks they provided, and with new venues set to be named for the series, you can be assured these are not to be missed for any West Country XC racer. Round 2 – 22nd June Ben Seville Memorial celebration – @Rogershill Raceway – Sprint format for a relaxed and sociable day followed by an hour’s open practice and party in the barn, all proceeds to the air ambulance. There will be Prizes for all classes.